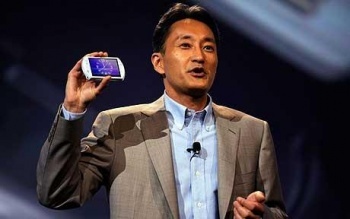 If Sony makes it, and you can get it in a Best Buy, Kaz Hirai will soon be in charge of it. Kaz Hirai, probably known best for his rather critical comments about his rivals' products, will soon climb a little higher up Sony's corporate ladder in the wake of an upcoming reorganization. On April 1st, Hirai will leave behind his old role of vice president, and become an executive deputy president, in charge of all of Sony's consumer electronics. Hirai is currently in charge of Sony's networked products, which includes the Walkman and Vaio brands, as well as the PlayStation. In his new role, he will assume control over Sony's TVs, Blu-Ray players and any other Sony product that people can buy in a store. The rest of Sony's business, which makes components like semiconductors and batteries, will be under the control of Hiroshi Yoshioka, who currently heads up the "New Consumer Products Group." It's thought that Hirai is the favorite to replace Sony's current CEO, Howard Stringer, when he eventually steps down. Speaking to Reuters last night, Stringer said that this promotion was an opportunity for Sony's board of directors to really see what Hirai could do. Stringer noted that Hirai wasn't the only candidate for the role, however, and that Yoshioka was also one to watch. While Hirai's promotion is unlikely to mean any immediate changes in the way that Sony does things, having all its consumer electronics in the same division could lead to some interesting things in the future, both in terms of hardware, and services like Qriocity, which works across a variety of Sony products. It will also make it even easier for Sony to push 3D across its entire product range.